It’s the Fixing System that makes SecureView unique in its Strength and Quality. 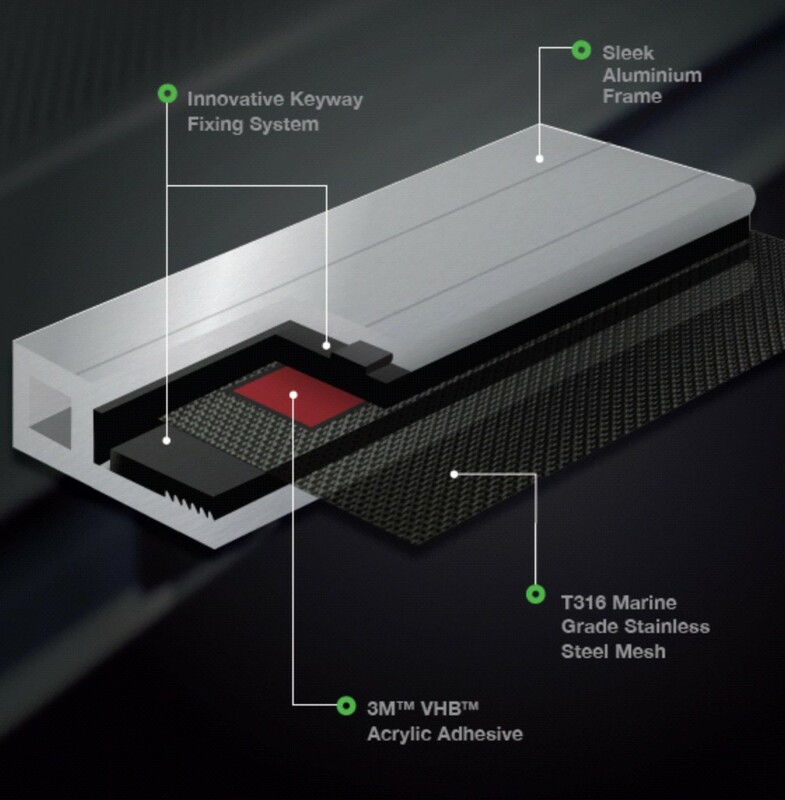 The Reversed Wedging is an effective and common feature that’s present in most Security Screen products – but the Innovative Keyway Fixing System and the 3M™ VHB™ Acrylic Adhesive are what really positions SecureView above its competitors. Outdated Screw Clamps and other methods were developed back and the 90’s, and while they were effective in their day, they’re now inferior in their application. There’s no need to compromise the mesh by perforating it just to secure it in the frame. This particular method dramatically increases the opportunity for corrosion. There are smarter ways of securing the mesh into the frame, like employing the use of VHB™ and Keylocking the Wedge. After more than 30 years in the market, VHB™ Adhesive is now so dependable for its Strength and Longevity, it’s being used in the manufacturing buses, construction of buildings and many other Commercial fabrications. A quick search on the web will result in an abundance of information about VHB™ and its Strength. Another unique feature of SecureView is a manufacturing technique that eliminates the need of a Midrail on even the largest of Doors and Screens. We have track record on manufacturing doors up to and beyond 2400 x 1250 and still having great tension on the mesh. This edge over the other brands bring SecureView to the forefront and even more so when screening Staking Doors. 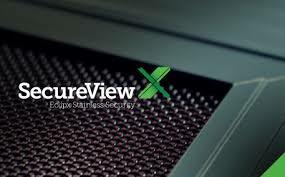 Rubbing of the two panels sliding past each other is a problems for the competition but not for SecureView. It’s just another reason why SecureView is so popular. 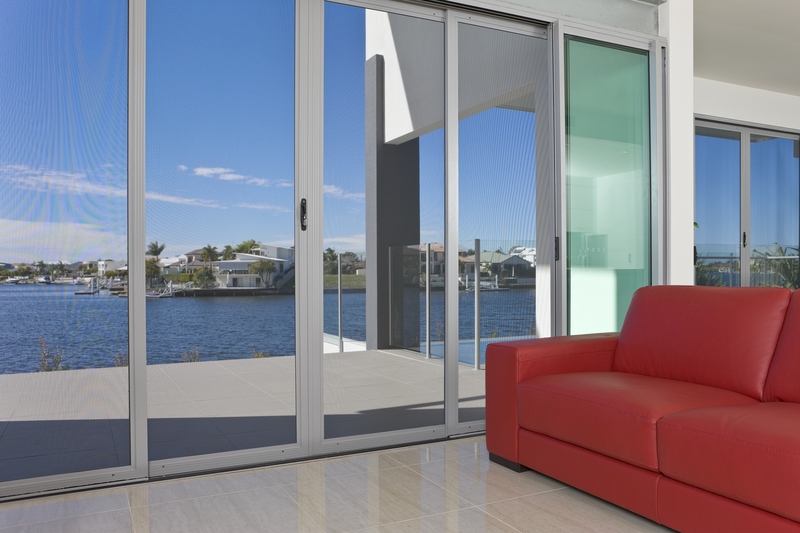 As the Window and Door industry continues to add new colours to their Window and Door suites, SecureView colour range moves with them. With so many Colours in our Standard Colour Range, it’s not very often we need to head off to the powdercoaters to match the existing frame. This translates to saving our customers money. We also offer Western Red Cedar in both Window and Door frame. It’s a great Woodgrain powdercoat finish for matching wooden frame. *Colour chart can be used as a guide only. The web cannot display the glossiness of the finishes. Smarter Design equals a Superior Product far above its competitors. A cleverly designed Keylock System locks the Wedge in to the frame. VHB™ Acrylic Adhesive to ultimately Secure and Retain the mesh. 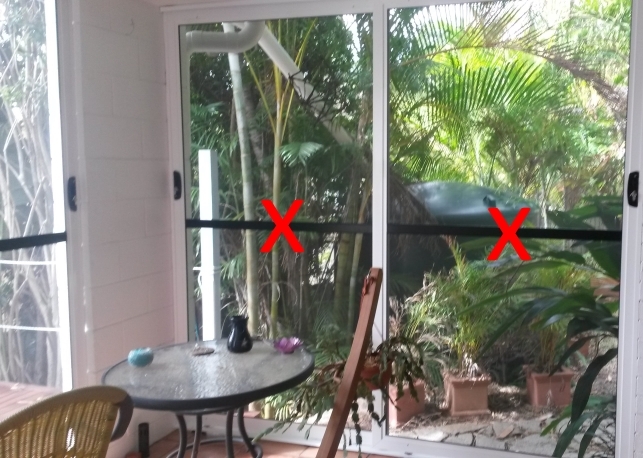 No need for unsightly Midrails on Staking or Larger size Doors. 26 Standard Colours that will Save you Money. By far Better Value than the competition products.